One of the most interesting and controversial stories I have read in a while is the story of Pabst Blue Ribbon Beer. As a child growing in a strict Christian family I was kept from the “sins” of beer but I still remember those Pabst Blue Ribbon signs along the road. It did make an impression. After all, winning a blue ribbon meant your beer was the best. Later in my teens finally trying beer, I learned that was not necessarily the case. Pabst Blue Ribbon Beer was actually founded by Jacob Best in 1844 and was called Best and Company Beer. Fredrick Pabst didn’t come along until a few years later and hijacked the brand after his own name, Pabst. The original idea of the blue ribbons were to tie a blue ribbon on every bottle. By 1882, the company was buying over one million feet of silk blue ribbons to tie around their bottles each year. 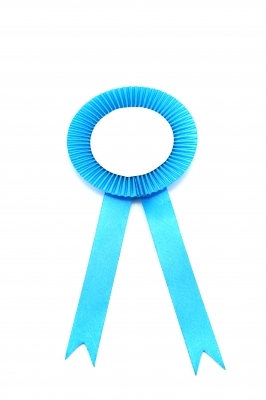 The controversy came with suggesting that the blue ribbon was an award. Story has it that the Pabst brand won first place at the Chicago World Columbian Expo in 1893. However, no ribbons were used for any beers at this fair. Winners were awarded a bronze metal. Therefore Pabst never really won a blue ribbon. Fast forward 174 years later and to this day, no one questions that Pabst is the Blue Ribbon winning beer. There is a lesson in this story. If a company puts enough public relations, advertising money and marketing sales force, they can literally rewrite their own history. Wonder how many other products and services we see and purchase everyday that has written their own history? There is no such thing as reality, just perception of reality and here lies the proof. 3 Responses to Did Pabst Win the Blue Ribbon? That is pure branding genius! More proof that point of view creates reality. « Is Hard Work Really the Best Way to Get Rich?